If you have children and live near Round Lake Beach, Illinois, you can trust Dr. Dave Canty at Rollins Family Dental Center for all your general dentistry and family dentistry needs. The welcoming practice provides a full set of services for all ages, so you’ll never need to look elsewhere for a specialist in pediatric oral care or advanced adult treatments like dentures. Call the family-friendly office or book an appointment online today. Family dentistry is the professional discipline of practicing oral care for both children and adults. The fully licensed dentists and hygienists at Rollins Family Dental Center can diagnose and treat many types conditions at any stage of life, whether a toddler, teen, adult, or an elderly patient. They’re familiar with caring for the needs of various age groups. Family dentistry covers a full spectrum of preventive services, general services, cosmetic procedures, restorative treatments, and advanced care. How Do General and Family Dentistry Differ? There is much overlap between family dentistry and general dentistry, but the difference comes down to education and available services. 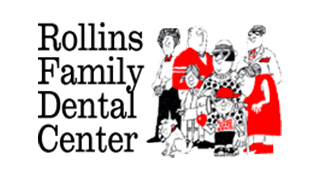 Rollins Family Dental Center offers family dentistry, and the staff is thoroughly trained to handle children and adults alike. So instead of seeing a specialist at some other dental clinic, you can receive everything from teething advice to root canal therapy. The beauty of choosing a family dentistry practice is that everyone in your family can visit the same office for all their oral care needs. Family dentists also undergo additional training to practice pediatric dentistry, so you’re in good hands at Rollins Family Dental Center. Whether you just moved to northeastern Illinois or you want to find a dedicated and highly trained team of dentists and assistants for your entire family, book your next appointments now or call to schedule them today.